As consumers’ demand for innovative, powerful, and flexible tilt switches grow, so does the pressure to create more efficient products. 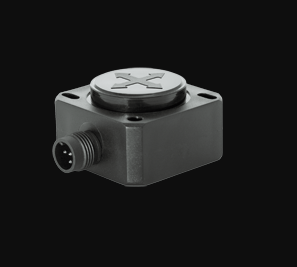 That is why DIS Sensors, distributed by Laser-View Technologies, has developed a new safety tilt switch that requires only one housing. Previously, two sensors were needed to achieve functional safety when using these products. This new safety tilt switch is ideal for use in safety-critical applications, as all mandatory safety checks for SIL1 are implemented within the device. To satisfy SIL2 requirements, a redundant second device can be used. Tilt switches are electronic inclinometers with a switching output at a pre-set angle from horizontal. 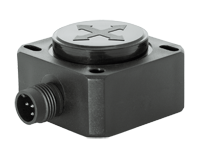 This type of sensor is ideal for monitoring the maximum platform tilt angle or safeguarding the range of a crane / boom. When the measured angle exceeds the pre-set angle, the sensor will switch the output, so that the control unit of the application can take appropriate action (e.g. sound an alarm, restrict the speed of a vehicle, or put the machine into safe mode). It is also a more efficient alternative to mercury switches or proximity switches. 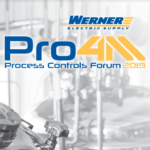 The ability to zero the sensor after mounting enables greater assembly tolerances, with lower production and service costs.